This is an ever growing collection of resources, ideas, activities and guidance which all involve forging a connection with nature and the outdoors. 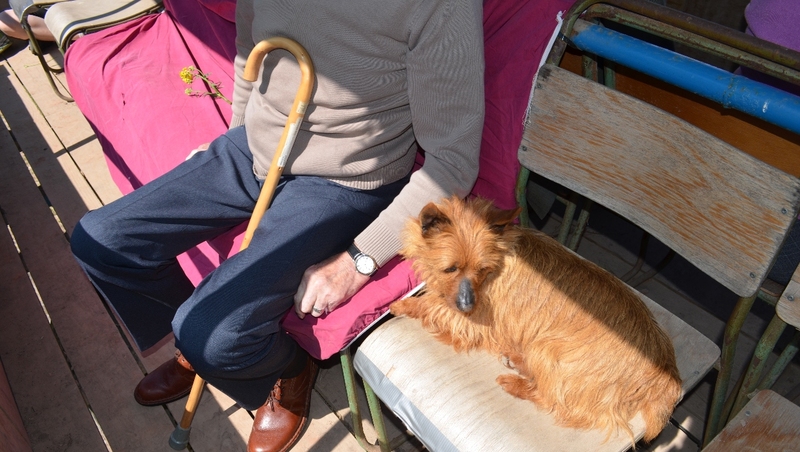 All activities are tried and tested with carers and older people with dementia. Where do I live is a multi-sensory activity based around images and landscapes to get people talking, thinking, tapping into memories and telling stories. You could use magazines, newspapers or print something from the internet. To accompany these images, find some objects that provide visual clues for each landscape; for example – shells for coastal image, cut flowers for urban park, small car toy for country lane, pine cones for woodland. Try and incorporate items that smell, are interesting to touch or even play some sounds from a tablet or your phone. Using images of three different landscapes, participants are asked to decide which plants and objects are associated with each landscape. The group should get as hands on as possible with each object to decide which image it best goes with, perhaps it is all three or none at all, there are no wrong answers. A great Easter activity, you could fill your nest with plasticine or even chocolate eggs. 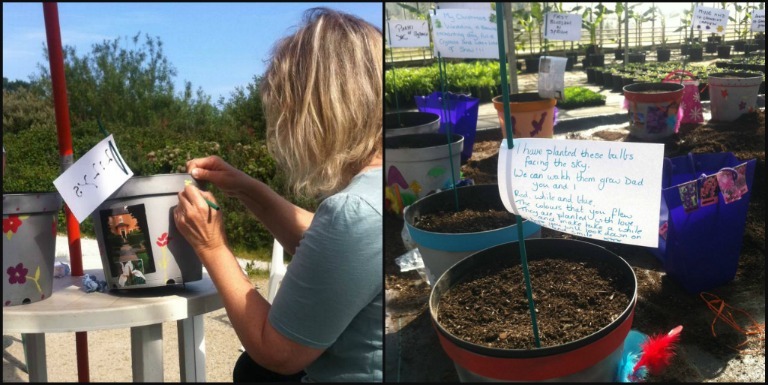 This activity is about helping people to connect with spring or summer through something that is common within our garden memories. Birds’ nests are fascinating in the way that they are made; each one unique to the bird that made it, using whatever nature has lying around. Why not make a little bird or some eggs to sit in your nest. 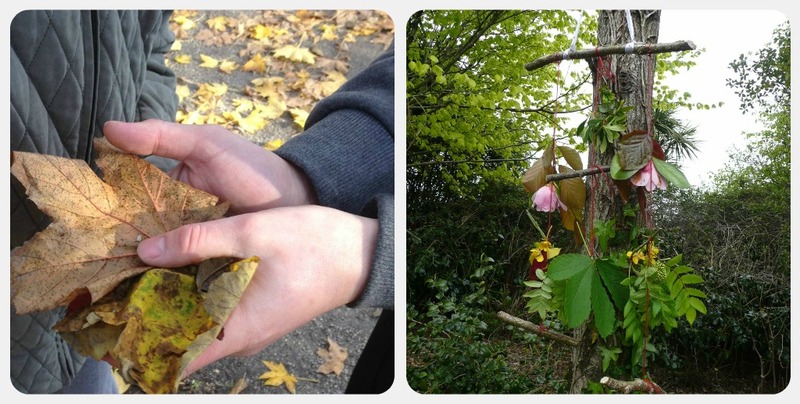 This resource has been designed to stimulate conversations around nature and the outdoors. It should be taken as an opportunity to find out where interests lie and plan future outdoor activities such as bird watching or going for a picnic. This activity explores various plants that have symbolism or folklore attached to them, with the aim of finding connections between individuals and plants through those stories. This will help establish a connection, or re-connection with specific plants and encourage the sharing of personal memories.We have compiled a list of myths, legends and facts around different plants and collated them by season. This is a great go-to activity that doesn’t require too much preparation. A great way to introduce a painting activity to those who aren’t comfortable with traditional painting and arts. Building your brush out of natural objects is all part of this relaxing and calming activity. What’s more you can create some beautiful abstract patterns. This is a fun activity to do as a couple or as a group on a rainy day. Once you have made your butterfly feeder you can hopefully enjoy a bit of butterfly spotting from your garden or through the window. This activity helps orientate people to the season and the weather and is both fun to make and fun take part in. By looking out for certain seasonal characteristics and clues in our local environment we are able to orientate ourselves which in turn can reduce stress and anxiety. This is a simple activity that can be repeated many times and is great fun to get the whole family involved. You can print a postcard template here, or create your own. In April we had an activity stand at an Age UK event where we invited carers and people living with dementia to have a go at weaving flowers, leaves and stems into our loom. This proved to be a really successful activity as weaving seems to require just the right level of concentration and hand movement to relax people and encourage conversation. Have a go yourself, you’ll find you soon become lost in the rhythmical action of weaving. We recently road tested our new activity countryside poetry dice. It is designed to engage groups in creative writing and poetry based on their experiences and emotions connected with nature and the outdoors. 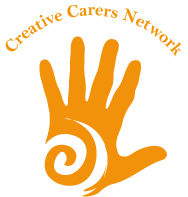 The activity aims to make poetry accessible and fun, helping participants express their thoughts, feelings and memories without feeling the pressure of creating poetry from scratch. By using sensory rich words such as slimy, soft and spiky the poet can create a rich memory or story of an outdoor experience that really comes alive. A dice is rolled and a word chosen from one of the corresponding themed bags and then the beginnings of a poem will start to emerge before your very eyes. You can then add associated words, rhyming words and connecting words to create your own unique poem, story or memory. Weaving Tales stimulates our memories of being in outdoor environments which in turn sparks conversation. This leads to a greater understanding between people. It’s not about what you create with someone; it’s about the “journey” you share together whilst you’re doing it. Hoop and loop birdfeeders are a great relaxing and calming activity that you can do indoors or outdoors. Try experimenting with making different shapes and remember to keep checking back on your feeder to see if the birds have been enjoying them. Sound maps are a great way of encouraging someone to slow down, and tune in with their surroundings. By removing the emphasis of the visual and focusing in on the auditory we are able to take in our environment in a whole new way. This can be a wonderfully calming and relaxing activity and we have found it helps to lower anxiety during stressful times. Creating a memory book can be a very useful tool if you care for a person who is going to be spending time being cared for by others, it can work as a touchstone to calm and connect to the person they are. These birds feeders are based on a design for a hanging mobile using items from nature as decoration. You won’t have to walk far to find plenty of colour, texture and shapes to hang from your feeder and what better excuse to go outside,breathe in some fresh crisp air and feel the cold tingle on your cheeks. This activity goes beyond just bulb planting. By painting the pot and creating a ‘memory flag’ participants are able to draw upon old memories and create new ones. Whilst this is an activity aimed at adults with dementia, all ages and abilities will be able to get enjoyment from taking part in this. Shadow boxes are not only a fun project to build but also serve as an interesting and creative way to store mementos. The boxes are traditionally built out of ply wood – see the below how to video for instructions, however you could use an old cardboard box, some drift wood or anything you can find. If you are caring for someone who has an interest in woodwork this can be a really nice project to work on, perhaps you could encourage them to sand and wax or varnish the wood. Now time for the fun bit, go outside! Try collecting items that have a sensory appeal, perhaps some soft moss, rustling leaves, pretty flowers or something you find triggers a memory of a place, person or period of time. You could record your journey through the items you find for example flowers from outside your house, leaves found walking down your road and some acorns in the park. Once you have collected some items (and this can be an ongoing project) it’s time to arrange them in your box. Try tying sticks and twigs with wool or string to the sides, stick small items with glue or sticky dots. Why not get a map of your local area and stick that in the box in the background. 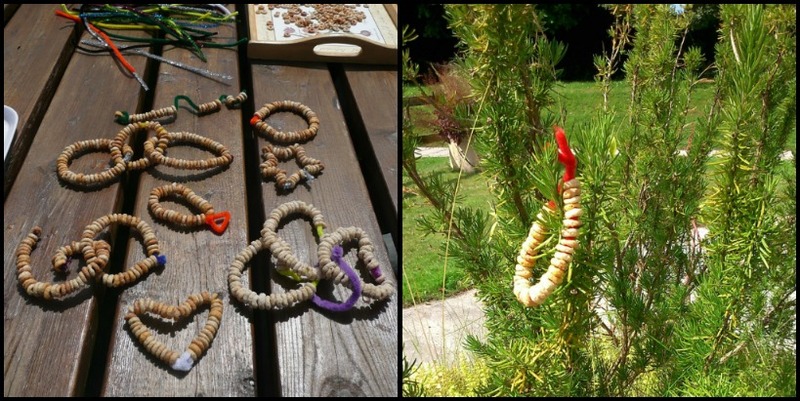 This activity helps forge connections with the outdoors and nature through a sensory approach and can be repeated and adapted as you see fit. Flower pressing is a great activity for all ages and abilities and can be quite exciting waiting to see how your different flowers and leaves turn out. There are no rules or wrong ways to do it, in fact we recommend that you have a go at pressing anything that takes your fancy, experiment with different textures, sizes, colours and shapes. Do some flowers keep their smell? Does the smell change? What happens to the texture once its been dried? When caring for someone with Dementia pressing flowers can bring about memories and spark conversation, it’s not just about the act of pressing it’s the association with nature, the colours and smells. It can be as simple as putting the items in a piece of paper between two heavy books. Or, if you fancy a bit of a DIY mini project you could make your own using two pieces of hardboard with some paper in between and then screw or clamp the hardboard pieces together to form a press. Flower presses are also available to buy fairly cheaply from many craft and hobby shops. We have produced a short film on the basics of pressing flowers so you can see how easy it really is! This activity helps orientate people to the season and the weather. By looking out for certain seasonal characteristics and clues we are able to orientate ourselves which in turn can reduce stress and anxiety. This is a simple activity that can be repeated many times and is great fun to get the whole family involved. I work at the Dorset History Centre, and we are moiving towards becoming more of a community resource for people with dementia and learning difficulties. I’ve printed several of your fab and simple activities to enrich our archive based projects – several activities are easily adapted to build in images from archive collections. Your site was recommended to me by Sue Mitchell of Dorset AONB. Hi Maria, thanks for you lovely comments our activities are designed to be adapted to suit a wide audience so i’m very pleased you are using them on your archive projects. We’ll be posting more activities soon so keep checking back!